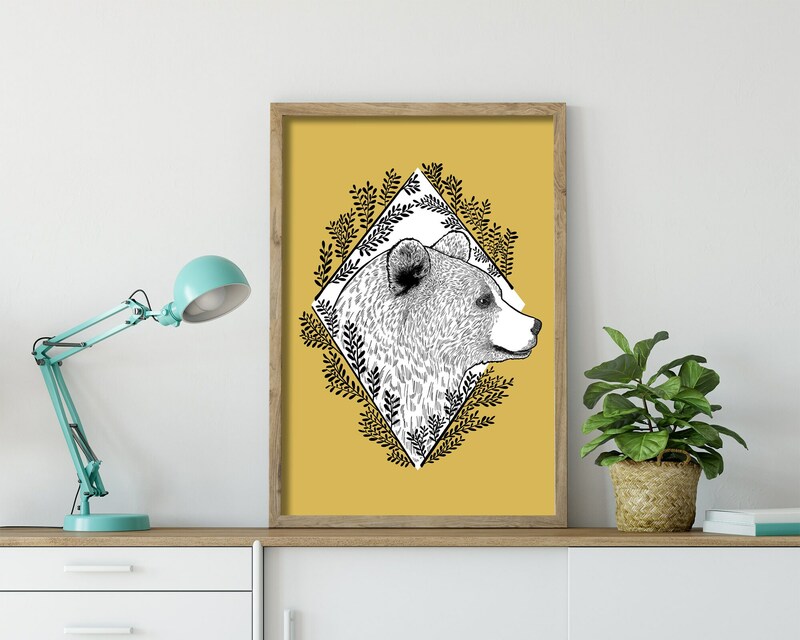 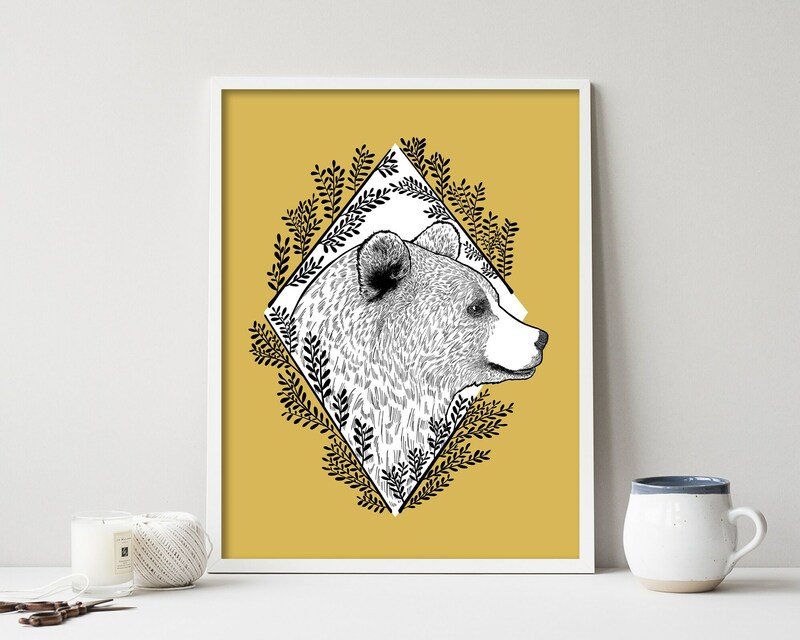 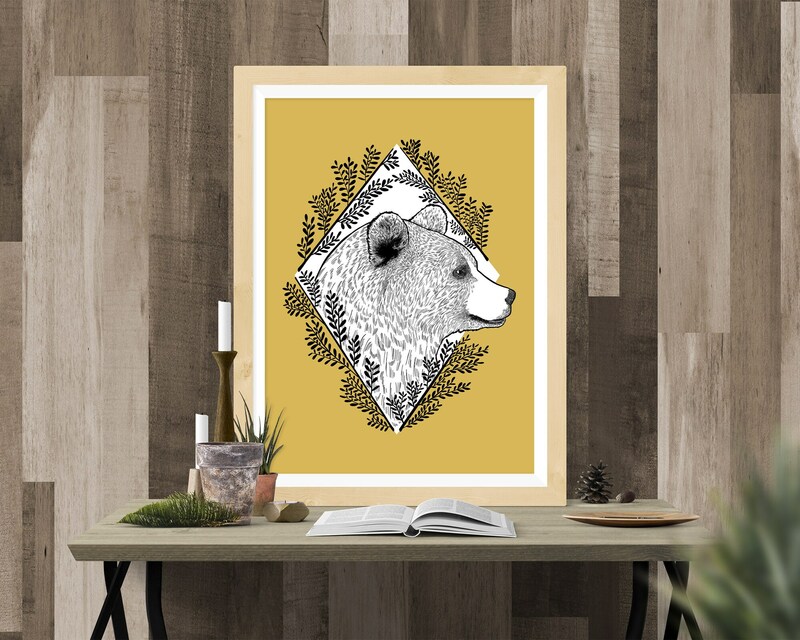 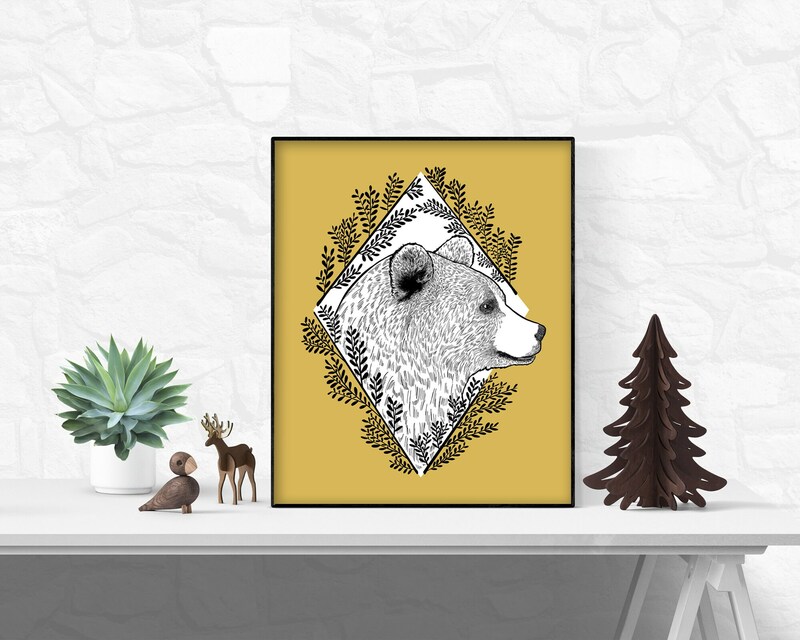 A beautiful Kodiak Bear, drawn in delicate detail and surrounded by beautiful foliage, inspired by the leafy ferns of Glacier National Park. 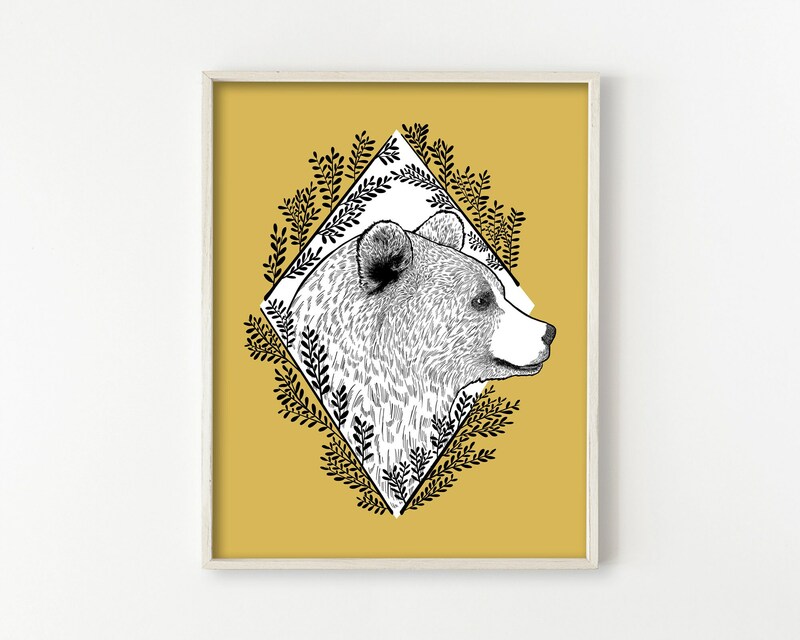 From my Flora & Fauna series of art prints. 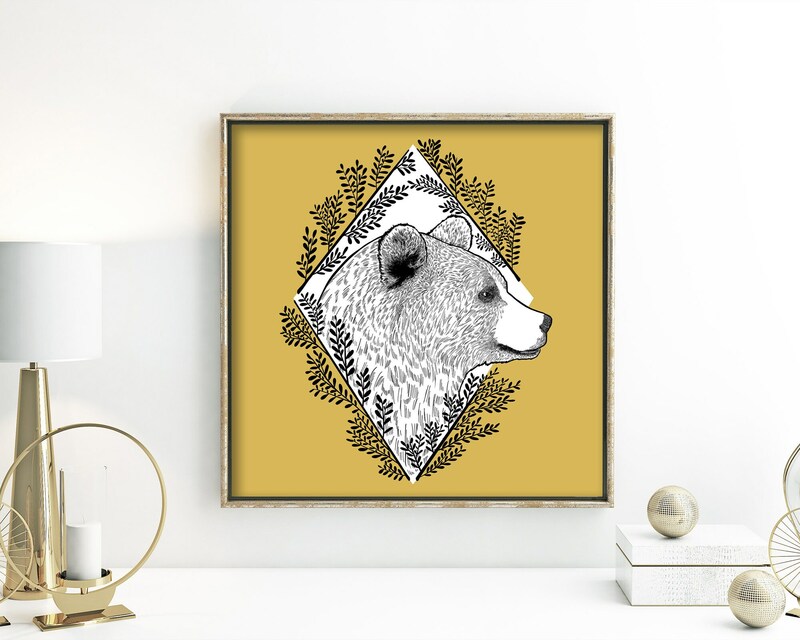 Perfect for modern and traditional decor, or for a modern nursery.